BT Sport has signed a deal to show exclusively live coverage of up to 26 stages of the FIA World Rally Championship (WRC), starting with the opening event of the 2014 season, the famous Rallye Monte Carlo, on January 15th. The BT Sport WRC programming will run across BT Sport’s three channels, BT Sport 1 and 2, and ESPN. Coverage will include a preview and a review show for each rally and a daily highlights show. The deal will bring the first regular live rally action on UK screens since ESPN covered the sport’s ‘Power Stages’ during the 2011 season. 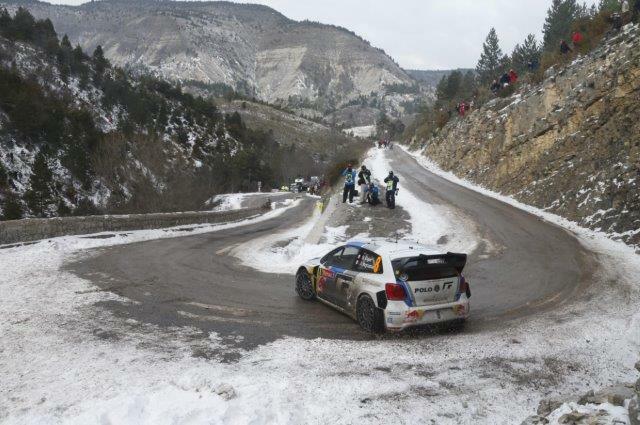 In 2013, coverage was provided by the free-to-air ITV4 channel, whose arrangement to show post-event hour-long highlights programme on the Tuesday after each rally is unaffected by the latest BT Sport deal. Digital satellite and cable channel Motors TV has also announced that it will carry half-hour daily highlights programmes during each of this year’s rallies, commencing with the Monte Carlo event. The organisers of Wales Rally GB – the closing round of the Championship – welcomed the development.